Click the thumbnail to check out the Minimates. Wow, these look great. Especially the Spider-man. I recently bought a huge lot of Minimates to jumpstart my collection. Feel kind of bad though since I'll be spending loads of money on more of the same stuff. oooooohhhhhhhhhh I'll have to check out my nearest store to see if I can find them. I hope so. They've been kind of lacking on the Marvel stuff outside of the Select line. I know Disney Stores are planning some revamped store layouts for this year. Not all were coming at once. But I know that Marvel toys will start to eat up larger sections of the stores. Do we know the price point on these? 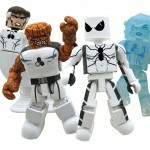 Im not much of a minimates collector but do think they are an awesome line to collect, especially sets like these? probably $20, seeing as how they're an exclusive. The price is listed right in the news article. It is?.............oh yeah there it is. The set cost $19.50 for anyone as blind as me. If it was at SDCC then maybe it was an SDCC exclusive and thats why it was $40. I might have to pick this up if I run across it. 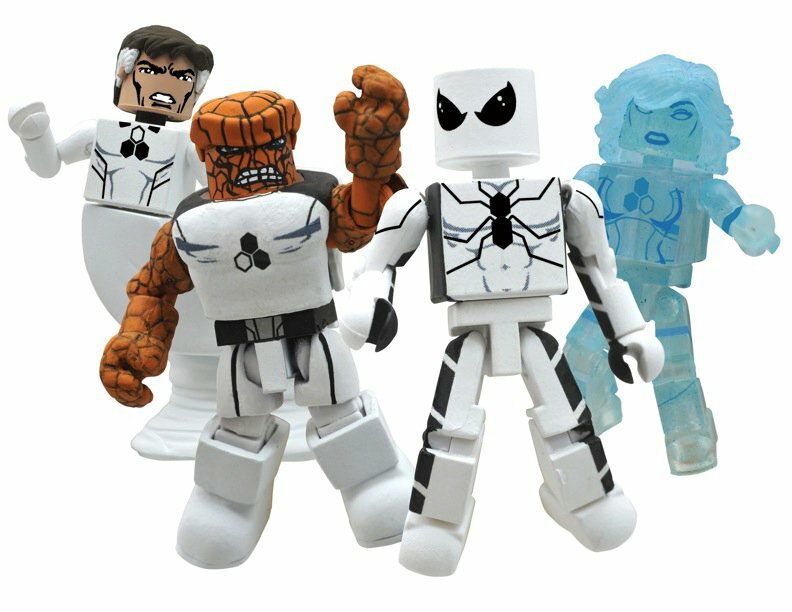 I wish MU would follow the same trend as the minimates with their character selection. Having a clear Invisible woman makes perfect sense and also that stretch look for Mr. Fantastic is very cool.